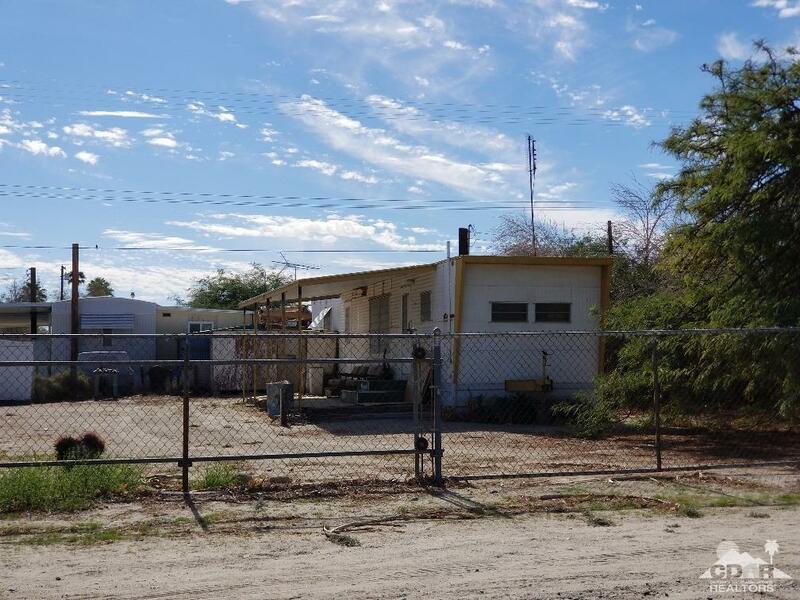 Mobile located on fully improved commercial lot. 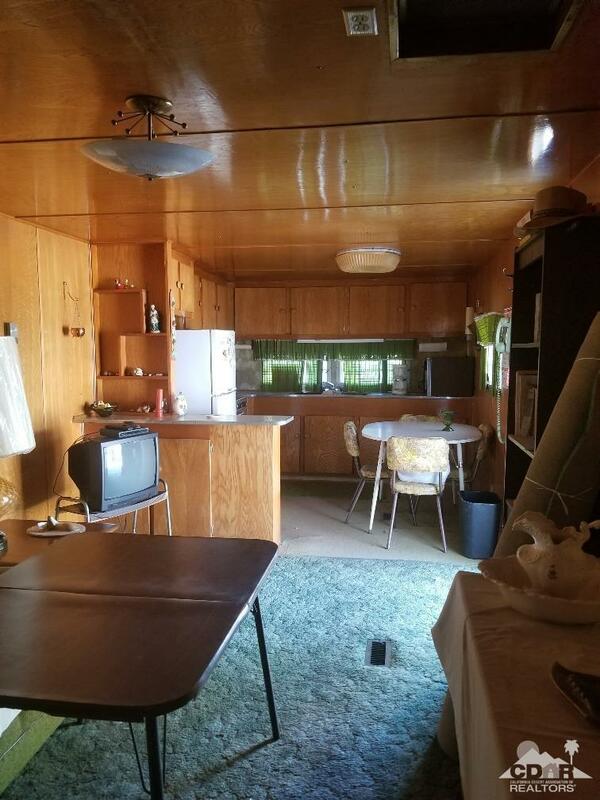 1 bedroom, 1 bath, kitchen and open living & dining area. 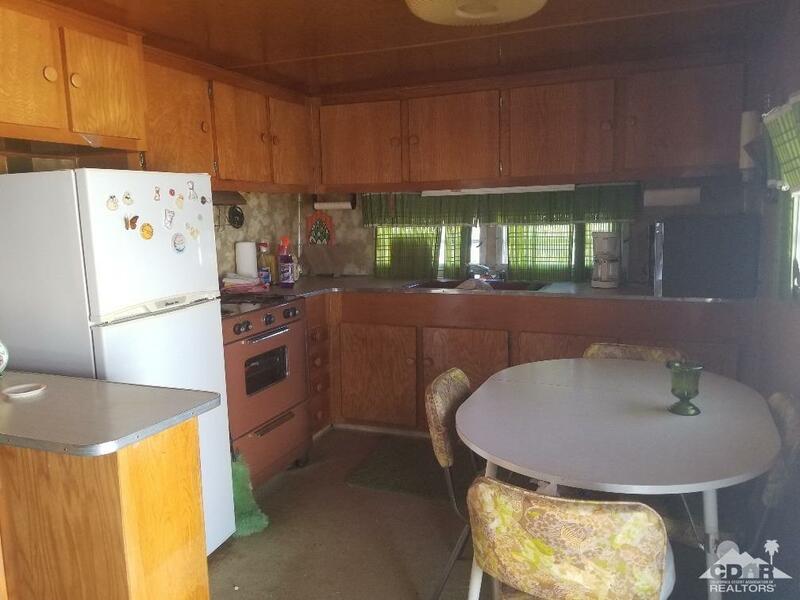 Interior of trailer is in good preserved condition, property will be sold As-Is furnished. Exterior could use a fresh coat of paint, TLC and deck repair. A lot of potential uses or just an affordable home. Per owner roof had been repaired a couple years ago. You own the land, No HOA's. Lower IID electric. Interior photos to follow soon. 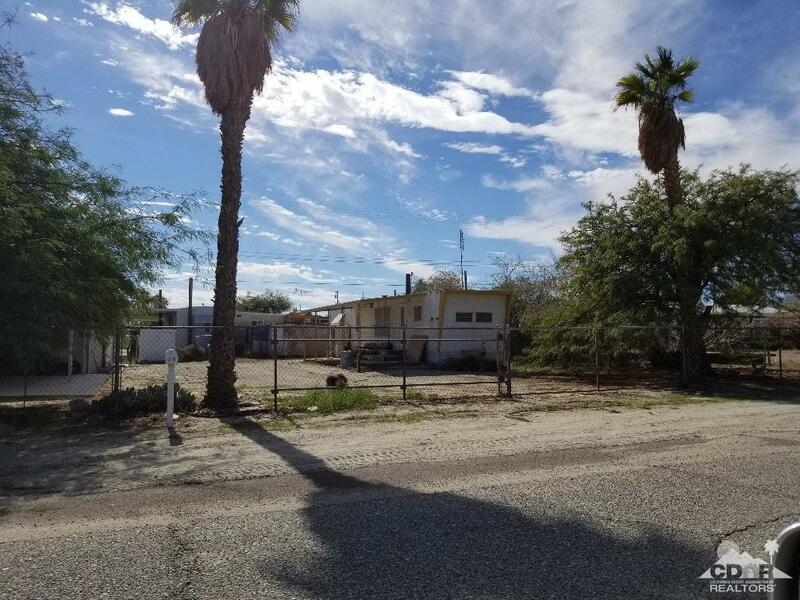 Listing provided courtesy of Michelle Gold of Desert Gold Properties, Inc..